Humans live with creatures whom they share this world with. More often than not, humans are the predators and animals are their prey. 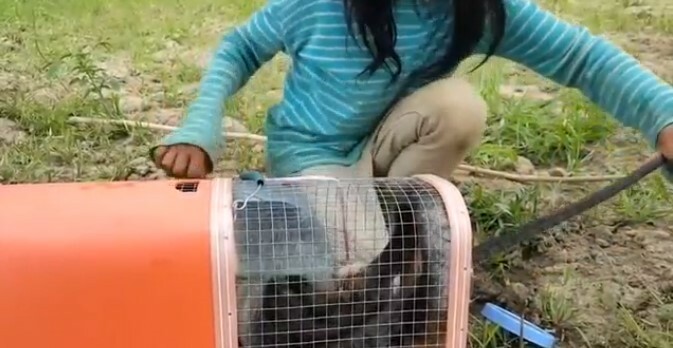 They lock animals up, cage them as pets, hunt them for sports, and eat them as food. Worst case scenario, these animals strike back. Some animals are dangerous enough to end a life in a snap. The deadliest turns out to be the ones packed with sufficient poison to take a human out in a matter of seconds. Several notable snakes are included in the list. Venomous snakes are capable of producing venom which can immobilize their prey. Their bite delivers a tremendous amount of paralysis-inducing neurotoxins and could be lethal if left untreated. This is one of the reasons why snakes strike fear into most people up to this very day. They are taught to take safety precautions with snakes especially when around debris or outdoors. 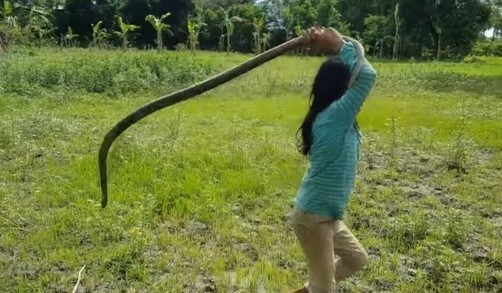 Notwithstanding the potential dangers, a seven-year-old girl who was caught on video captured a king cobra using her bare hands alone. The king cobra or hamadryad is a venomous snake endemic to the forests of India through Southeast Asia. It is known to be the world's longest venomous snake. It is undoubtedly very dangerous due to its aggressive reputation and deadly fangs where its bite delivers venom from glands attached to them. 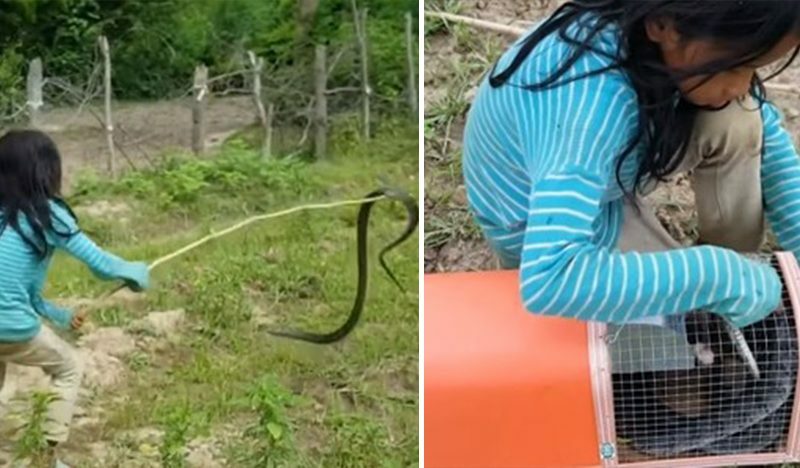 As seen in the footage, the king cobra was trapped in a cage when the girl took it out with no protective gears at all. This scene shocked a lot of netizens and feared for the little girl's safety. However, she casually held the snake by its tail and pulled it out of the cage. 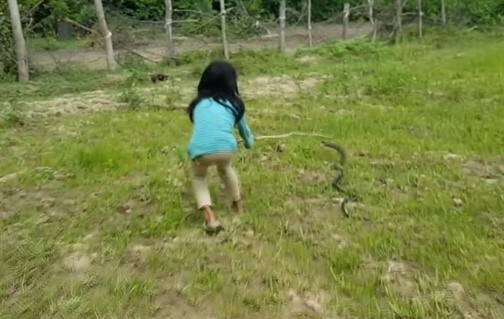 The snake was able to escape at first, but the girl did not flinch and used a stick to catch it again. Then, she held and flipped the snake in the air like it's nothing. This gathered different reactions from the netizens. Some were amazed by her courage, but a few were dismayed with how she treated the king cobra like a toy.